Discover the powerful impact of color! We use the internationally acclaimed Color 1 Associates system. During a two hour session your most enhancing colors are selected from nearly 1,000 colors. You receive a customized Color 1 chart (portable and ideal for shopping) with comprehensive information about how to create your best looks by combining colors, textures, prints and jewelry. This experience opens a vortex of self awareness. Call or Email me today to get started on your makeover! Need a makeover from an expert? This Color Type Information is a supplement to the material presented in Quintessential Style: Cultivate and Communicate Your Signature Look. In truth, anyone can wear any color in the spectrum, warm or cool, provided it is the correct shade and the correct clarity. Of course you can wear any colors you wish, but if you want to look your absolute best, doesn’t it make sense to learn which hues harmonize with, and enhance your natural coloring? Personal style teamed with flattering colors always works in creating outfits that express your true essence and ultimately make you feel fabulous. Would you like your mirror to reflect an image that makes you feel wonderful and confident–so great you can totally forget about how you look and get on with the amazing life you want to live? 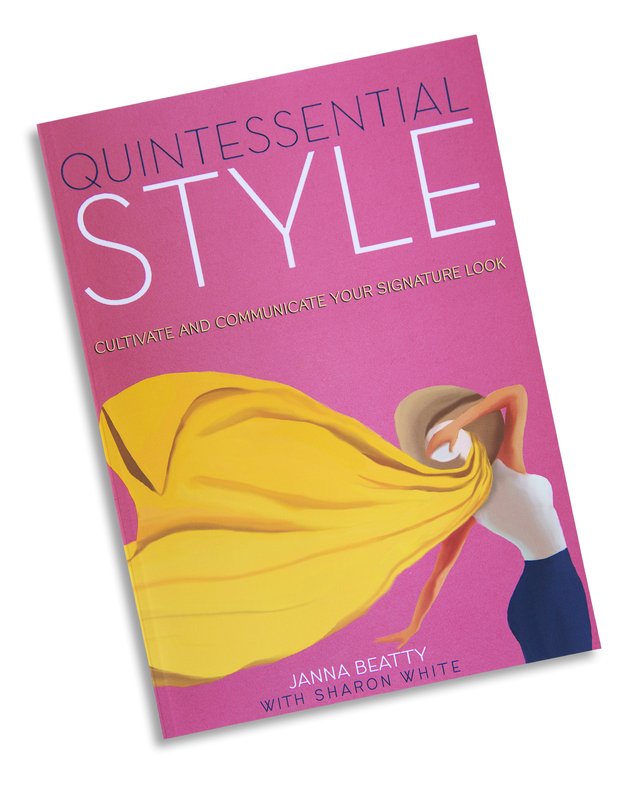 Click Here To Purchase Quintessential Style! which features timely image, fashion and beauty tips.